Panorama’s Educational Program has been running since 2008 and hopes to include in its activities audiences of different backgrounds. Its aim is to bring members of the public and organizations together to experience contemporary dance and the arts in general, whilst stimulating critical viewing by professionals of such areas, at the same time. The program focuses on critical thinking and analysis, with seminars, workshops and talks with artists and professional and more than 8 thousand tickets have been distributed to schools, NGOs and social inclusion institutions since its launch. Ticket distribution and free transportation to schools, NGOs and various public institutions. Groups are welcomed by cultural mediators whose job is to stimulate a debate about each artist’s work, whilst presenting the background behind their performances. Groups of arts degree students and teachers are also given free entry to different shows. Panoraminha– In its 7th edition Panoraminha offers tickets, transportation and mediation to shows aimed at younger audiences. University Laboratory (Lab Uni) – A 3 day lab where 8 groups of university graduate and post-grad students are invited to present their academic research to their piers, under the close supervision and critical viewing of teachers as well as some of Panorama’s curators and artists. 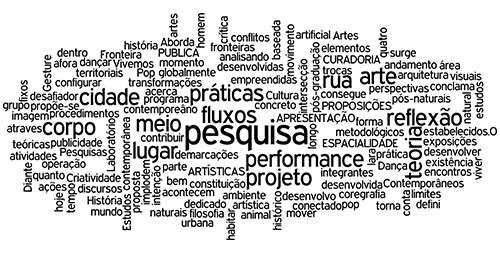 Review Laboratory – After choosing which shows they wish to see, students write a review about it, under the supervision of dance teacher Lígia Tourinho. Reviews will be published on Panorama’s website. Dance Teaching Practices and Tools Seminar – 3-day seminar in which artists and educators discuss teaching methodologies, through an approach that combines theory and practice. The seminar’s objective is to aid improve dance teaching in municipal schools and other institutions. Cultural Mediation Internship – Using Panorama’s shows as background material, interns in dance teaching studies are invited to develop and propose strategies for public mediation. School Workshops – In 2014, the Educational Program included activities at municipal schools to create the show #LOSMICRÓFONOS, by artists Jorge Dutor and Guillem Mont de Palol. Students were invited to share their musical repertoire and make suggestions to be included in the performance. In the next phase the artists will go to the participating schools to create the show with the students. 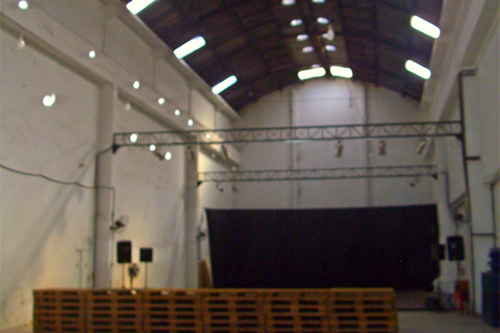 Workshops e oficinas – Various activities run by the artists for members of the public and for dance professionals. Since its 2009 edition, Festival Panorama works towards the development of volunteers, giving young people an opportunity to enter the working market. The Festival is a great learning environment that includes day-to-day project running in areas as varied as communications, production, box office and even the Educational Program itself. Work is paid for and entry is free to all of Panorama’s shows and performances. Volunteers work in teams and are evaluated at the end of their work, with feedback being given by their supervisors. For many, this is their first work experience and some volunteers are invited to join Panorama’s team the following year.